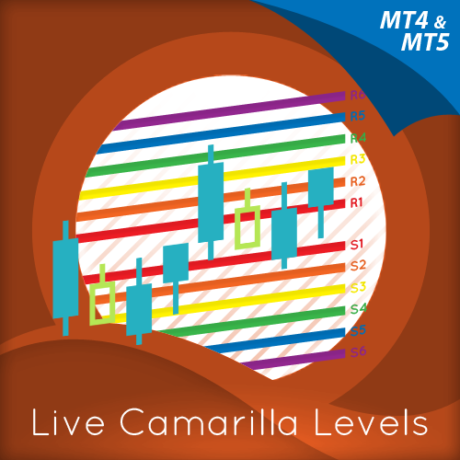 PLEASE NOTE: Many FX brokers deliver their MT5 platforms with unique currency pair notations, which vary from the standard notation which is a comma following the currency pair as shown here: EUR/USD,M1 for example. These unique currency notations can be anything from a full stop, to colon, or letters and numbers, and can be either before the currency notation (which we call a ‘prefix’) or after the currency notation (which we call a ‘suffix’). In either case, the prefix or suffix will need to be added when configuring the indicator, otherwise it will not work. This is explained in the installation process below, and when any suffix or prefix is added it MUST be precise, and also include any spaces. 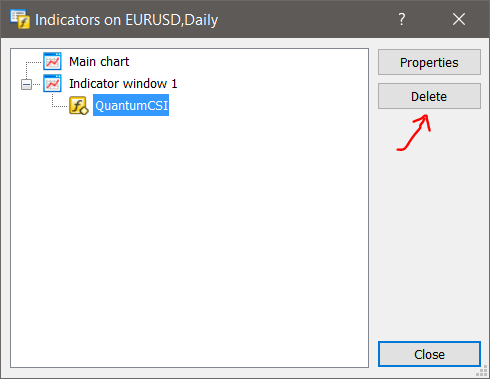 To start using the indicator, you can click and drag QuantumCSI from the Navigator to a chart or you can also double-click QuantumCSI (which will then be applied to the currently selected chart). Doing either one of these will display the Custom Indicator window where you can configure all the various user settings for your Quantum CSI. These options are grouped and can be accessed by selecting the tabs which will be discussed further in the following sections. Once you are done customizing the indicator’s options, click OK to run the indicator. You can configure the indicator by changing its variables listed in this tab. 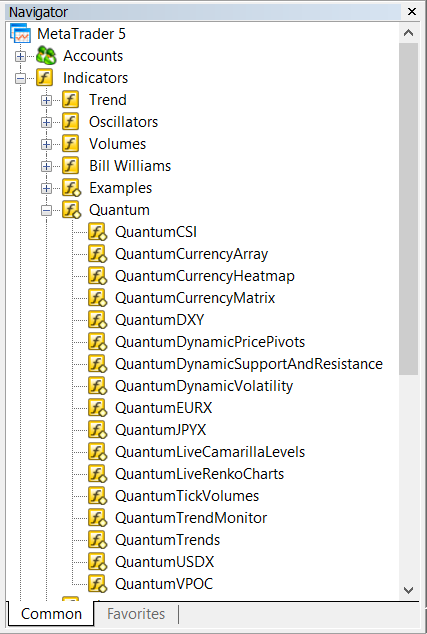 We explain all these in detail later as shown in configurable inputs tab of the Quantum CSI below. All the plot lines of the Quantum CSI can be configured in this tab. It contains 8 lines, each represented by one of the 8 major currencies: USD, EUR, GBP, CHF, JPY, CAD, AUD, and NZD. 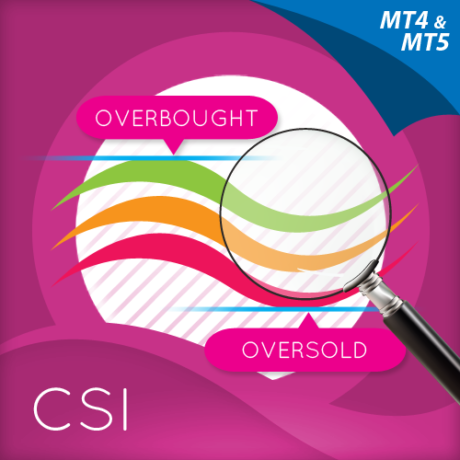 Quantum CSI uses 2 levels to determine whether any currency is either overbought or oversold. These levels are defined here in this tab. A currency is overbought if it approaches or crosses above the level of 80. A currency is oversold if it approaches or crosses the level below 20. You can also change the color and the line style in this tab. 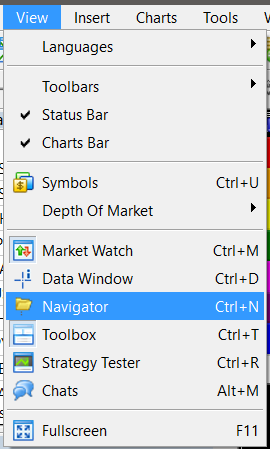 This tab contains options to change the scale of how the indicator is displayed in the chart. 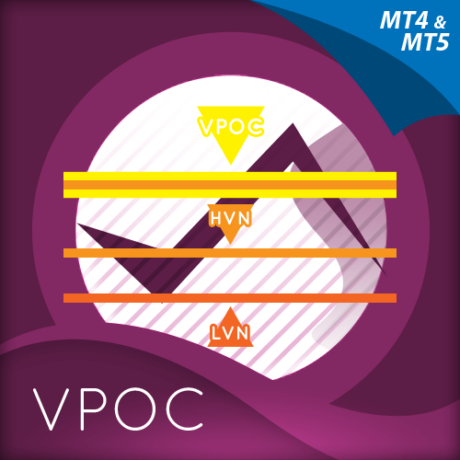 We do not recommend changing any of the values here and suggest this is left as shown. 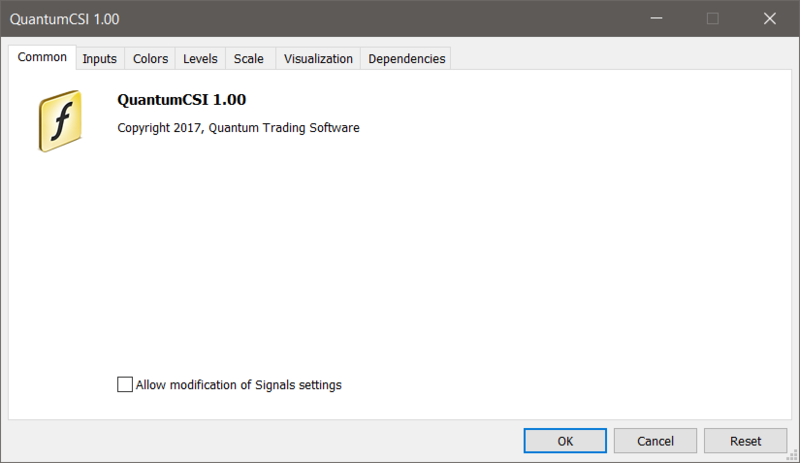 Let’s go back to the Inputs tab and explore the ways on how to customize the settings of your Quantum CSI. 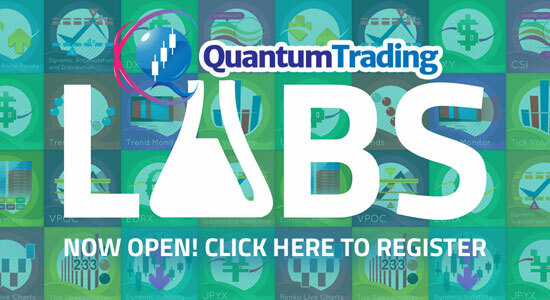 When running the Quantum CSI for the first time in your trading account, you need to enter the email you used to register in the Quantum Trading Indicators Enablement System – http://enable.quantumtrading.com/ as part of its verification process. You only need to do this once as the email is stored in the terminal’s global variable cache after it is entered initially. Please make sure that you enter your email correctly and exactly without any extra spaces before and after it. If you made an error, simply fill this field again to update it. This setting is used to “fine tune” the internal RSI indicator of the Currency Strength Indicator. 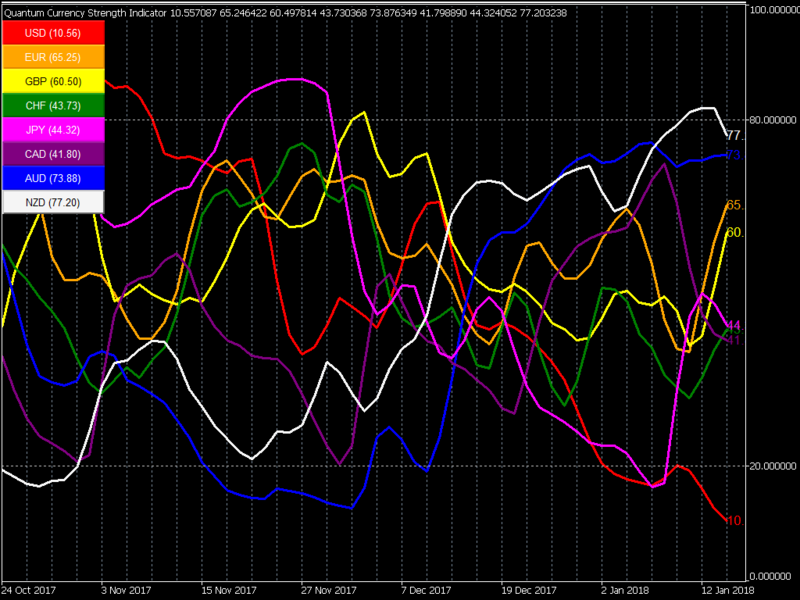 Increasing the value makes the indicator less responsive to price movement, thus the steepness of the curves decrease. 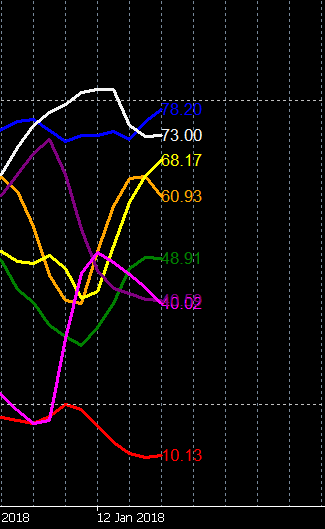 A higher RSI Period also means that currencies are less likely to cross the 80 and 20 lines. Conversely, decreasing it, makes the indicator more responsive to price movement, thus the steepness of the curves increase. A lower RSI Period also means that currencies are more likely to cross the 80 and 20 lines and also stay there for longer periods of time. The recommended settings are between a minimum of 7 and a maximum of 14. For medium to longer term trading approaches then the higher RSI Period is recommended (towards 14 or the default), whilst for faster scalping trading approaches, a lower RSI Period can be applied (towards 7). 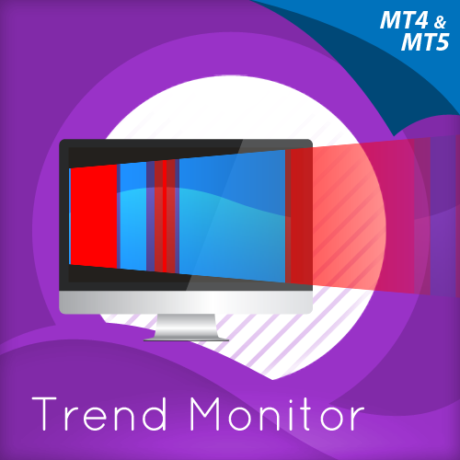 A new feature that we have introduced in the Currency Strength Indicator for MT5 is an alert system for currency crosses which has been requested by some of our customers who are interested in taking advantage of trading opportunities found in it. A currency cross happens when one currency line intersects with another which indicates a significant price action between the two currencies. It is set to false by default, but when changed to true, you will be prompted through an alert box about all the currencies that have crossed after the current bar closes. Please note that this feature does not notify you of unconfirmed crosses or those that happen in the current bar. 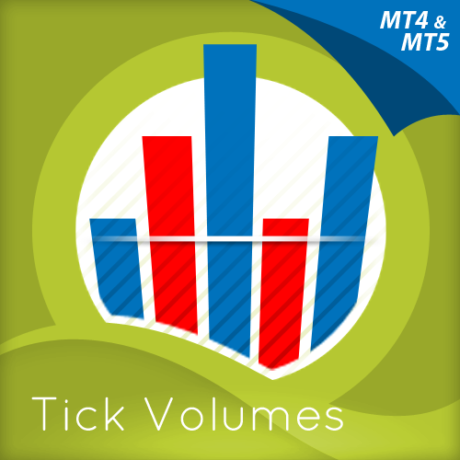 This setting is used to toggle the visibility of the numerical values of each currency found just beside its respective line. Each number is colored the same as the currency it represents and shows its exact value within the 0 to 100 range. Its default setting is true and is therefore visible whenever you run CSI. You can turn this off anytime by switching it to false. You can change the size of the toggle buttons by changing this setting. This is especially useful for screens with very low or very high resolutions. 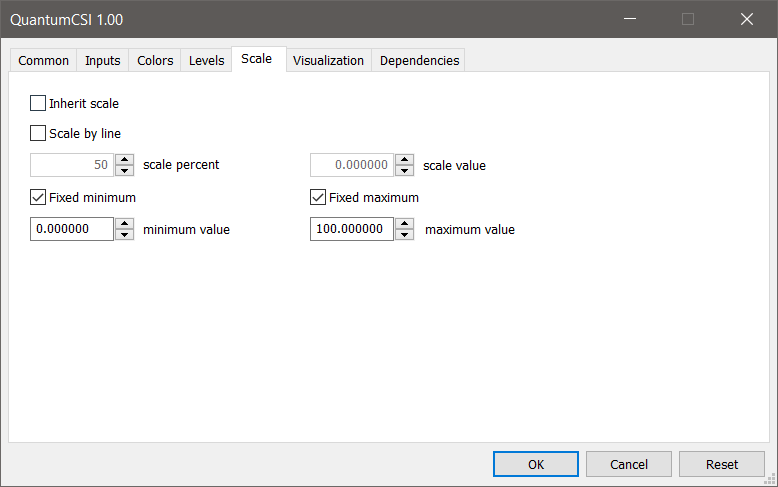 Its default value is 1 but you can enter negative values to decrease their size further. You can change the size of the text inside the buttons by changing this setting. Its default value is 8 (it can only hold positive values). The CSI displays its toggle buttons vertically by default. Changing it to true changes the position of the buttons to a horizontal layout. This setting defines the color of USD’s plot line and button which is red by default. 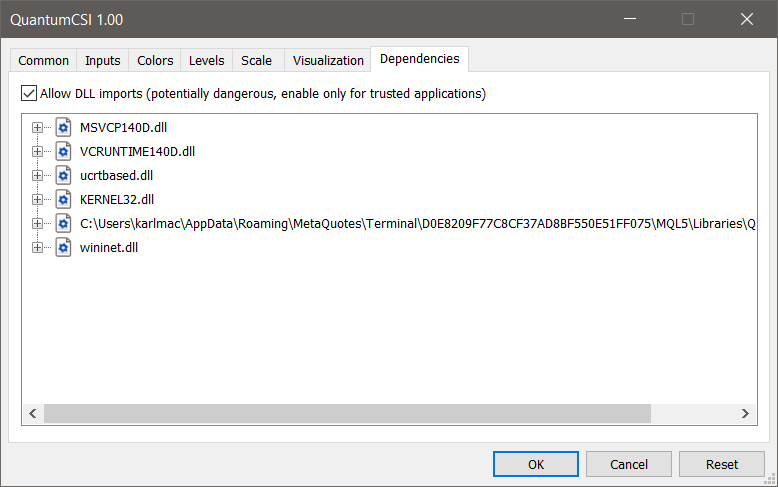 This setting defines the color of EUR’s plot line and button which is orange by default. 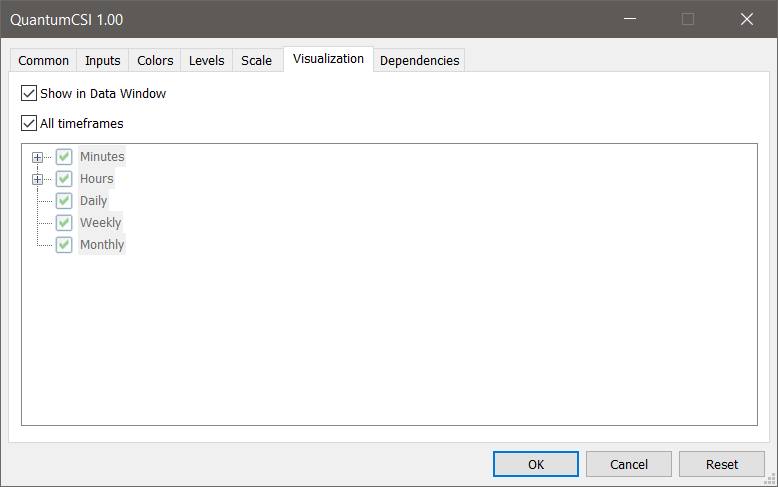 This setting defines the color of GBP’s plot line and button which is yellow by default. 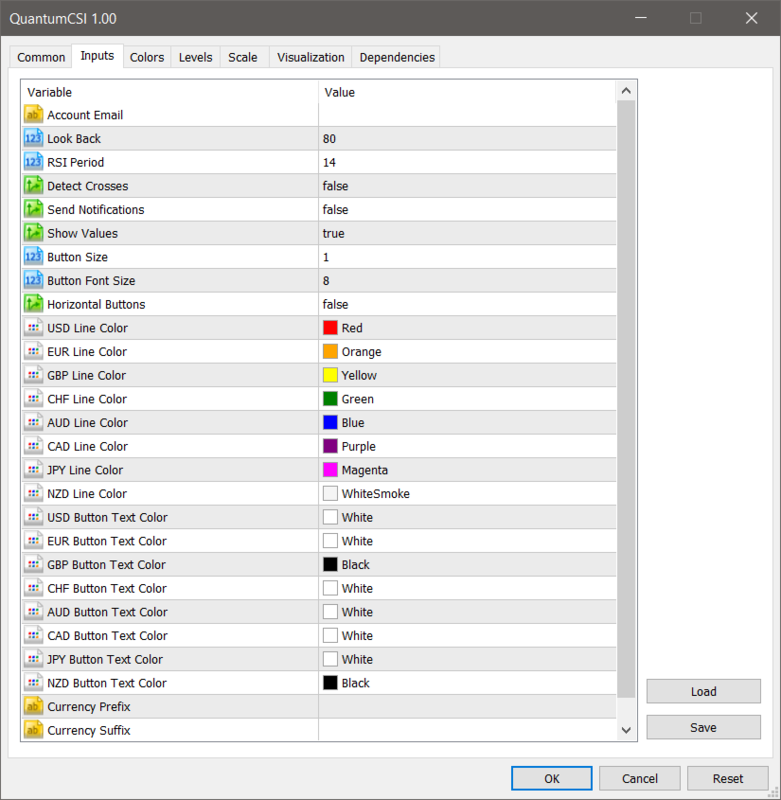 This setting defines the color of CHF’s plot line and button which is green by default. 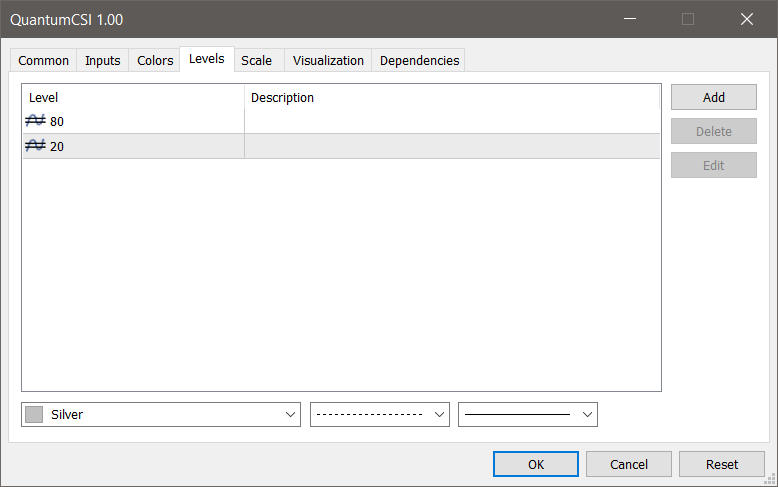 This setting defines the color of AUD’s plot line and button which is blue by default. 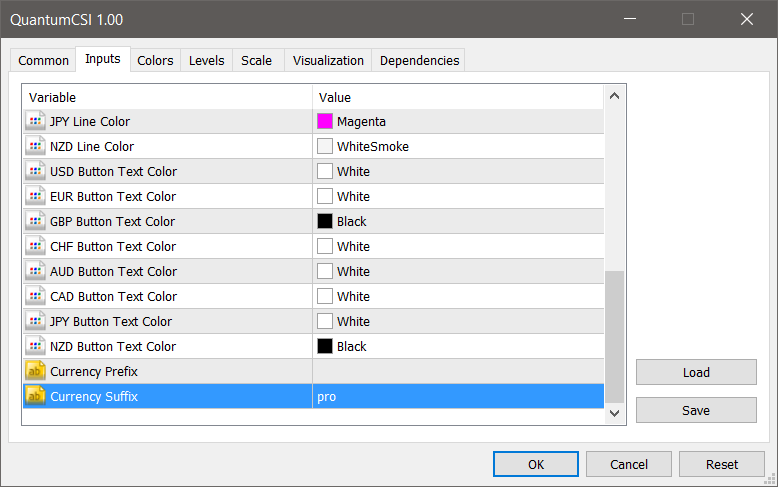 This setting defines the color of CAD’s plot line and button which is purple by default. 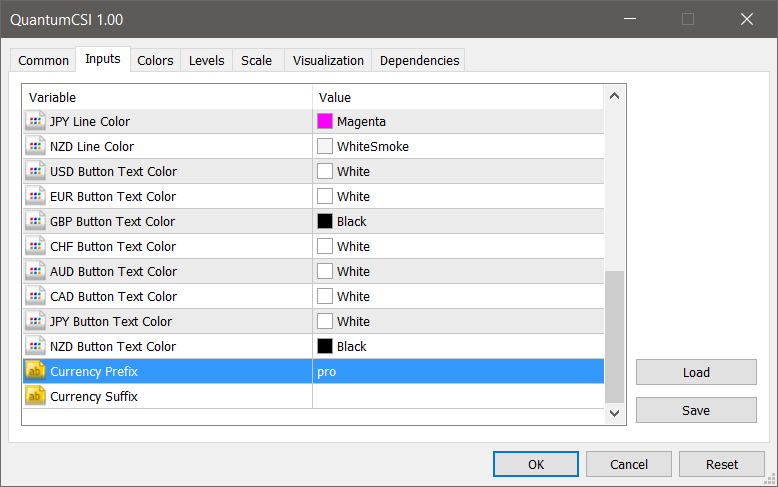 This setting defines the color of JPY’s plot line and button which is magenta by default. 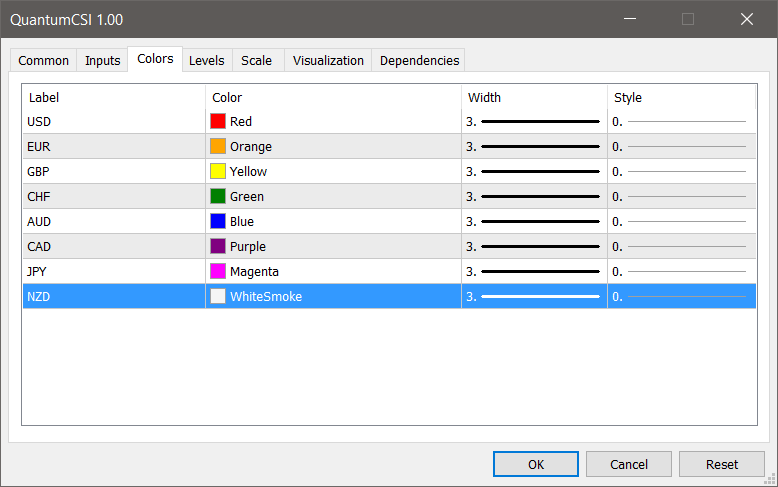 This setting defines the color of NZD’s plot line and button which is whitesmoke by default. The currency buttons are the colored buttons located at the left hand side of the chart. If the button is NOT PRESSED, the corresponding currency line is visible. In this state the button is colored. If the button IS PRESSED, the corresponding currency line is hidden. In this state, the button is black. Select QuantumCSI and click the Delete button then click the Close button.